Update: the project is back online and has a smaller revised goal of $30,000. The campaign goes until July 4th and after 24 hours they have already received over $10,000 in backing. Hit up Kickstarter and re-pledge your love to Chameleon! 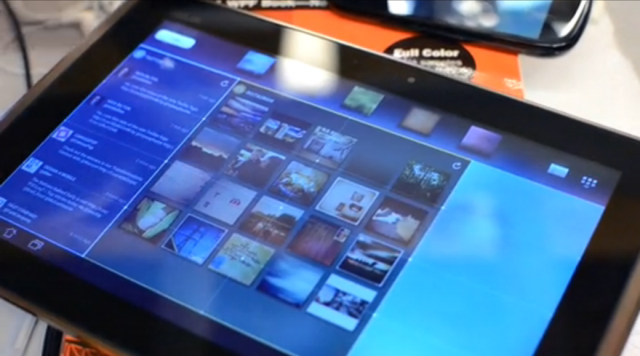 Remember the awesome Chameleon Android homescreen replacement we demoed earlier this month? It reached its $50,000 target with a few days to go, but due to an issue with Amazon Payments they had to close the project and re-start it. While they’re waiting for the project to go live again, Gabor Vida, the head of the project at Teknision, has given us a sneak peek at what the development team is working on. It all looks really fantastic, with new widgets added and a custom wallpaper switcher within finger reach. We’re really excited about seeing Chameleon in action, but until then hang tight for a link to the new project (you’ll have to re-pledge as your previous one has been rescinded) and head to Kickstarter for the full video.